Welcome to Prairie Story Recipe Swap Thursday! I can barely believe it is October and we are now entering holiday season! One of my favorite times of year. Recipe Swap Thursday's most popular recipe last week was Diet Pop Cake @ Retro Housewife: The Remix. If you haven't already, be sure to check out this recipe! To kick things off this week I've posted a new recipe - my Mini Pumpkin Cheesecakes. I just love these one bite morsels of autumn goodness! I love Thanksgiving too - even though here in England only ex-pat Canadians like me and our families celebrate it! It's not so nice this year as my husband will be away on business - I think I'll make a batch of your mini cheesecakes on Sunday to make my son and I feel better (I'll try freezing a couple for my husband to have when he gets back!). Thanks for hosting!! Pumpkin in is in air! Your cheesecakes look great! Thanks for hosting!! Wow! The recipes look great today. I love the pumpkin part of pumpkin pie (not so much a fan of crusts in general) and I think these would be a wonderful little treat without the hassle of a crust. Hello! I am sharing a breakfast cheesecake that is great to make up and let everyone help themselves on the busiest of days. Alison thanks for hosting, now comes the fun, going to visit everyone else. Oooh, yummy! Pumpkin cheesecakes. You beat me to it! These are definitely on my list of "autumn desserts to make." These look so yummy. I don't see the code for linking up with your button so I will link up with text. Thanks! 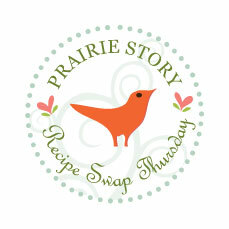 How fun to do a recipe swap - thanks for hosting. Yum! I love pumpkin everything! Recipe swaps are great. I'm currently participating in the 12 Weeks of Christmas Cookies hosted by April of AbbySweets. But, I'm so glad that I found your recipe swap now since all those recipes look incredible. I posted my link for Cinnamon Cornflake Cookies. 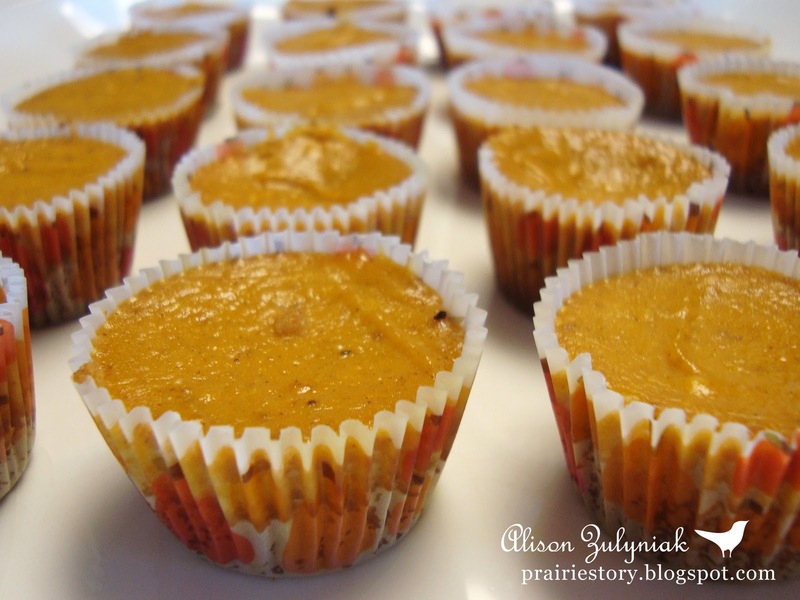 Your mini pumpkin cheesecakes look excellent. Their small size is perfect for me. I have been here a few times to link up but could not find any link. Is it me or is there no link?